Gameland.nl | Spilgames - Free cross device games. Action Turnip	There's no one who can take this turnip down! Swindler 2	The high-flying thief is back in action. Join him as he stages his next round of capers. Techno Invaders	Join this intergalactic gorilla on an action-packed trek through the outer cosmos. Maximum Power	Epic battles, aliens in outerspace, and advanced robotic technology...get in on the futuristic action! Picnic Kiss	Pucker up for some picnic pecking action! High School First Kiss	Huddle up in the hallway for some cozy kissing action with your cute crush! Mystic Mahjong Adventures	Play mahjong with a mystical twist! Match stones with the identical icons on open sides and unlock bonus tiles in each stage for endless matching fun! Ninja Miner 2	He slices! He dices! He...mines? Tag along with the crazy ninja on another treasure-filled adventure. Trump Has Fallen	Donald Trump has seized the White House and he’s determined to keep his political opponents from giving him the boot. Help the controversial presidential candidate defend it in this action game. Tomb Runner	How far can Professor Jones keep running in the adventures of Tomb Runner? Run, jump, slide, rush and surf through, over and under various obstacles through temples, exotic landscapes, bridges and subways while you collect precious gems, special powers and coins. Unlock cool characters like Lara Bones, Mummy, Agent 99, the hip Disco Dancer and so much more! Endless running fun! Zevil 2	This poor cop was only trying to do the right thing. Now he’s up to his neck in zombies! Help him escape! Stone Age Car Adventure	Yabba dabba doo! This game rocks! Frizzle Fraz 5	Join the fuzzy-wuzzy creatures for another incredibly fun adventure. Animal Cubes	You’ll go totally wild for this fantastically furry version of Mahjong. Longcat Journey	Chase the fishy rewards through a cartoon world of platform obstacles, growing with every bite, in the cutest and weirdest cat game on the web. Spider Story	Get ready for some good ol' web-slinging. This awesome arachnid is defending his home from some pesky rats. Run Panda Run	This bouncing bear is going jogging but he hasn’t picked the safest route. Can you keep him out of trouble? Jumping Jack: Biggest Cheese Edition	This hungry mouse is on a quest to gobble up as much yummy cheese as possible. Snail Bob (Mobile)	Help this slimy but spirited snail make the journey to his sparkling new abode! Match Bingo	The excitement never ends in this fabulous bingo hall. Grab your card and get ready to play. Solitaire Lands	You can beat each of these challenges if you play your cards right. Vegas Slots	Feeling lucky? Then try out these exciting slots and their nine different paylines. Tea Mahjong	Grab a cup of tea and settle in for this challenging take on the classic board game. Bubble World	Take aim with magic gemstone bubbles in this Middle-Eastern-themed bubble shooter. But make sure you break out your best moves, because you have a limited number you can make in each level! Bubble Pop Story	Pop these colorfully designed bubbles within the move limit and earn the highest score possible in this brand new puzzle game, Bubble Pop Story! The graphics are gorgeous and the gameplay is fun for all ages! Bubble Hit	Find some fizzy fun in bubble-popping mayhem! Mouse = Aim & Shoot. Shoot bubbles so that they attach to other bubbles, creating clumps of 3 or more of the same color to clear them. Yummy-Yummy Monster Shooter	To the mosh pit, monsters! Mouse = Aim & Shoot Shoot to match groups of 3 or more yummy monsters to clear them from the board. Fill the teleporter before time's up! Play mini-monster games for extra points. Bubble Hit: Halloween	Burst these bubbles with a haunting pop! Mouse = Aim & Shoot. The game will end either when you clear the board or when the bubbles have reached the bottom of the screen! Twilight Celebrity Makeover	It’s every Twi-hard’s dream come true. Your fave celebs need some serious styling! Select your favorite Twilight star, then click through the make-up options to create the perfect looks for these teenage heartthrobs. Beckham Celebrity Puzzle	World-famous soccer player David Beckham and his posh wife, Victoria, are in pieces! This sports star and his celebrity wife need your help! Memorize the original picture, then put the puzzle pieces back into place within the time limit. Click on a puzzle piece to select it, then click on another square to swap the pieces. Shopaholic: Hollywood	The fashion trio hit Tinseltown: get ready for sun, style and serious shopping! One Direction in Concert Makeover	Finally! Here's your chance to get your hands on One Direction! How often have you seen the One Direction boys in concert and wished you could be part of their backstage team? One Direction in Concert Makeover is your dream come true! Rihanna Makeover	Make her feel like she's the only girl in the world with such a great stylist!Browse through the clothes, make-up, and hair options to select a loud outfit for the fashionably rebellious Rihanna. Shakira Dress Up	Shakira's always shakin' it up—in style! Click on the dress-up icons to set Shakira up for fashion success, then hit Done! P!nk Dress Up	Who wants pretty in pink when you're perfectly punk?! Click through the dress-up options to give P!nk a look to suit her mood. Then customize her make-up to match her outfit and hit Done! Top Diva Nails	You can't be a diva without divine-looking nails! Click through the color and design options to paint your nails. Then add rings, bracelets, and nail art to finish your look! Gyros: Sara's Cooking Class	Sara’s cooking a wonderful dish from Greece this afternoon. Head to the kitchen to help her out. Chocolate Cupcakes: Sara's Cooking Class	Sara’s baking up a batch of these wonderful cupcakes. She’ll teach you how to make them too. Tiramisu Cups: Sara's Cooking Class	Here’s a delightful recipe for a dessert from Italy and Sara will show you how to make it. Risotto: Sara's Cooking Class	Creamy risotto is the best! With Sara's instructions, you'll make a surefire hit. Lasagna: Sara's Cooking Class	What’s that delightful smell coming from the kitchen? It’s lasagna, Sara’s latest and greatest dish. Valentine Pizza: Sara's Cooking Class	Valentine’s Day + romance = yummy heart-shaped pizza! Are you ready for Sara’s latest recipe? Grab your mouse and follow her instructions to make a delish pizza for Valentine’s Day. Halloween House Decoration	This spooky cottage could use some sprucing up to make it perfectly boo-tiful. Avie: My Pretty Avatar	Pamper yourself before you hit the town to play some fun mini-games. Under the Blossom Trees	The trees are in bloom and this couple is ready for a fun outdoor date under the blossoms. Car Decoration	Who’s the cutest car around? This adorable car is cute, but she could be a lot cuter with your help in this makeover game. Click on one of the categories to give her a new paint job, some cool headlights, and more. Easter Egg Decoration	What's more fun than eating Easter eggs? Decorating them! Decorating Easter eggs is fun, especially when you have so many options to choose from. Click through the decorations to find the best combo for your egg. What's even better is that you can decorate as many as you want by clicking Replay! Asian Beauty Queen	This girl needs some help picking out a cool kimono. Are you available? Cosmo Angel: The Final Challenge	The covermodel rivalry comes to a corporate-chic climax in this final thriller! Karen and Giselle's model rivalry has been going on long enough: it’s time for a final showdown. Perfect Princess Dress Up	The dressing room is all yours: what makes a perfect princess? This majestic dress-up game gives you a chance to create your perfect princess look. You’re in the dressing room of a boutique store, and you have everything you need to transform into a fairytale character. Girls Go Fashion Party	Without your help Gwen, Gabriella, and Grace will be tardy to their party! Use your eye for detail, your dress-up skills, and your makeover know-how to get the girls to the fashion party on time. Lily Greek	Hello Hellas! Get out your brushes, grab your make up—Lily's ready for some Greek glamour. Lily's a model and she's relying on you to get her ready. Check off the items on the list to get her ready to strut her stuff on the Greek catwalks. Thrill Rush 3	This girl’s fun day at the theme park just jumped the tracks! Help her find a way off this crazy coaster. Toy Factory Fun	Every toy wants to find a good home, so make sure these get shipped out in good shape! Click and drag the toy parts together to create a final product. Don't let any parts fall off of the conveyor belt, or it'll be game over! Rickshaw City	Get ready for a whole new racing experience. How fast will it take you to reach the finish line? Dragonland	Some annoying knights are trying to steal the dragon’s treasure? Let’s teach them a lesson they won’t forget! Death Valley	Nasty monsters are on the move but they’re no match for you and this brave knight. Charming Girls 3	Charm your way into these hunks' hearts. May the best flirt win! Click and hold on a boy's head to put him under your charming spell. If a guy is protected by a shield, click rapidly on the shield to remove it. Combos score bonus points, and you might get the chance to flirt with a celebrity! Girl Rock Band Dress Up	This trio of talented rockers is going on tour, but the girls need help picking out which clothes to pack! Pick out an outfit for each of the rockers up by clicking through the dress-up options. Click "Done" in the bottom-right corner when you've finished. Snap the Shape: Hawaii	Take a virtual trip to a tropical hideaway and discover if you can solve these tricky puzzles. Kingdom Creator	Design a gorgeous kingdom that looks like it came straight out of a fairy tale. Trendy Halloween Costumes	Mastermind a mesmerizing Halloween disguise... Browse the costume icons to shroud this reveler in the trendiest trick-or-treat garb. Mr. Pumpkin & the Halloween Night	The ghouls are out and about—if you know where to look… Find all the differences between each pair of images before the timer runs out. If you need some help, click Hint. Loot Heroes	Things are getting pretty hot down in hell…can you keep your cool? Emily & the Magic Maze	Emily's trick-or-treating becomes a scary labyrinth of twists and turns... Emily's got herself into a pickle in this fun Halloween game: she's trapped in a magic maze and must escape...somehow. Zombie TD: Reborn	Wipe out this army of walking dead, before it's too late. Build up your defenses to guard against 50 waves of zombie attacks. Drone Delivery	This flying drone has to make a lot of deliveries this afternoon. See if you can maneuver it through this crowded and chaotic city without crashing into anything in this challenging online game. Trump: The Mexican Wall	Donald Trump still has a long road ahead of him as he continues his presidential bid. Help him reach the White House while he dodges Hilary’s ray gun and Bernie’s bombs in this wild online game. Silly Ways to Die 2	These crazy creatures can’t stop hurting themselves. Can you help protect them before it’s too late? Jump Out the Box: Computer	Get ready for another adventure with these bouncy bugs. Can you help them make a break for it? Minecraft Parking	Ladies and gentlemen, start your engines and get ready for this challenge from the world of Minecraft. Yes park cars on this parking game inspired by Minecraft the game of course is: Minecraft Parking so less crafting; no mining but all about parking... enjoy! Titanic’s Hidden Mystery	Can you unlock the secrets of the world’s most famous cruise liner? Tulula: Legend of a Volcano	Deep in the jungle, many hidden treasures remain to be found... Follow the clues to reveal lost treasures hidden deep in the jungle. Alexia Crow: The Pandora's Box	What mysteries are waiting for Alexia as she continues her search for the legendary Pandora’s Box? Secrets of the Deep	The dark depths of the oceans reveal many treasures—but only for those who dare to look. Explore the reef with Dr. Jones and his crew, searching through the scenes until you find all the hidden objects strewn across the ocean floor. Forgotten items and long-lost treasure...your diving expedition will reveal them all! Beautiful Old Cities	Take a train trip back in time... Find all the hidden objects to unravel Grandpa's tale. Motor Beast	In the mood for a roarin’ rampage? Then jump behind the wheel of this monster truck! Level Editor 3	You’ve got the tools to save yourself, but do you know how to use them? Snoring 3: Treasure Island	These critters are on a quest for pirate booty. Help them keep their captain awake long enough to find it. Spaceman 2023	Put on your space suit and travel the galaxy killing aliens and exploring new fantastic worlds! Mystic Mahjong	In this mystic duel of vanishing tiles, speed is the path to triumph. Play against other players in this multiplayer mahjong variant! Chinese Dragon Mahjong	You’ll need the wit and luck of a dragon to conquer these challenging boards. Petjong	Match up all of these pets while you stroll down this country lane. Mahjong Ace	Match your way to Mahjong mastery! Click on matching-patterned pairs of tiles to clear them from the board. If you get stuck, try a Hint or Shuffle the board! Mahjong Solitaire	Discover China on a soothing mahjong expedition! Get ready for some mahjong magic! Match open tiles to remove them from the board. The faster you clear the board, the higher your score. Shuffle the tiles if you need to, and don't forget to press Hint if you're stuck. Match to Travel	Take a trip to the tropics! Match 3 tiles in a row to clear them from the board—and match 5 for special power-ups. Be quick: beat each level before time's up. Bon voyage! Back to Candyland Episode 3: Sweet River	Set sail for a mysterious island as this puzzling adventure continues. Cartoon Candies	Switch and swap this stack of comic and colorful candies in this Bejeweled-like match-3 game of pretty puzzling. Qing Pang	Clear your field of the mystical orbs in this multiplayer match-3 game! Race against your opponent to match 3 or more matching orbs and clear them from the screen. Clear all orbs on the chain before it reaches the fire trap! The adventurer with the highest score wins! Mysterious Pirate Jewels	The secret of this puzzling pirate booty is: where like meets like, there's magic to be found! Discover Istanbul Unlock the gems of Istanbul one puzzle board at a time. Sevenventure	A level playing field where everyone has seven as their lucky number! Add up as soon as you can to beat other players in this fast-paced multiplayer puzzle game! Mine It	This ain’t pinball, but you can tilt your way to glory in this crazy puzzle game. City Connect	Build, expand and create your own city by connecting the roads and important strategic buildings with the communal houses! Your layout and town planning skills will make it one of the best towns in the country! Titanic Museum	This new museum devoted to the infamous shipwreck is now open for business. Can you find all of the hidden objects in each one of the displays in this point and click game? Puzzle Brawler	Crush your enemies in this brawl of the brains! Take your opponent down before he knocks you out! Click a square cluster of 4 gems to rotate them clockwise. Line up 3 or more matching gems to clear them from the board. Matching gems will fill your skill gauge. Rotating gems will fill your opponent's skill gauge. So think carefully before you make your move. Lofty Tower 2	Lift these lofty towers up to sky-scraping heights! Mouse = Move Shape A/D = Rotate Shape Arrange the available shapes into a stable structure that reaches the red arrow to complete a level! Pro Racing GT	Ready to let those engines roar? Up = Accelerate Down = Reverse Left/Right = Steer Z = Brake X = Turbo R = Reset P = Pause Choose a track, car, and racing mode to get going! Rich Cars	These racing machines pack some serious rocket power! Up/Down = Forward & Reverse Left/Right = Balance Z = Rocket X = Turbo Space = Jump Collect gems as you zoom through each level as fast as you can. Trial Rush	This brave biker is taking on some of the toughest race tracks in the world. Join him while he jumps on his motorcycle and tries to pull off some of the craziest stunts ever in this racing game. Dead Paradise 4	It’s your task to save the world from a mysterious underground lab. Use your vehicle to shoot the mutants! Volcano Ride	There’s nothing like a ride down the slopes of an active volcano, especially when it’s about to erupt! Dirt Course	Time to put this SUV through it's paces...any takers? Mega Jurassic Parking	Can you put these big rigs in the right spots? It’s a parking challenge 35 million years in the making! The ultimate combination Jurassic Park, Dinosaurs, cars and parking. Fun and crazy at the same time! War of the Ancients	Man the walls—the peasants are revolting! Mouse = Aim/Power up/Attack Protect your city by destroying the hordes of monsters and demons. Click to select weapons, hold to aim and power up, and then release to fire. Don’t let the enemy breach the walls or it’s game over! Wings of War	Mayday! Mayday! Mayday! Mouse/Arrows = Fly Click/X = Shoot C/V/B = Loop/U-Turn/Turbo Esc/P = Upgrades/Repairs Shoot down enemy planes to score points. Heliwars	Seek and destroy... WASD/Arrows = Move Z/O = Launch Missile X/P = Drop Bomb Space = Drop Paratroopers Defend your territory by unleashing bombs and troops. Use the van to claim your enemy's HQ. Urban Assassin	Go ahead, make my day. Mouse = Aim & Shoot R = Reload Up = Sniper View Down = Normal View Left = Change Weapon M = Use Medi Pack Kill your enemies before they kill you. Watch out for civilians: hit one and it’s game over. Saga of Kraigen: Ambush at the Dragon Pass	This is one rough Tournament, are you the mighty warrior that will win the ultimate prize? Let the battle begin! Palisade Guardian: Revolution	Suit up, soldier: the revolution is here! Blockade Hell	Want to become a hero? Then block these monsters before they enter your territory! Codename Ballistic	The mission must be carried out at all costs, so step up soldier! Mouse = Aim & Fire Click and hold to set the power behind your shot, then release to fire! Neutralize all enemy units to complete a level. And remember: the fewer shots it takes, the more points you'll score! Helmet Bombers 3	These bubble-headed soldiers are back for another explosive beatdown! Mouse = Aim, Power Up, & Shoot Destroy all the enemy soldiers with as few bombs as possible to score points and pass each level. Watch out for the guys waving white flags; they've already surrendered! De Spill Group werd in 2001 door 2 Nederlandse ondernemers opgericht. 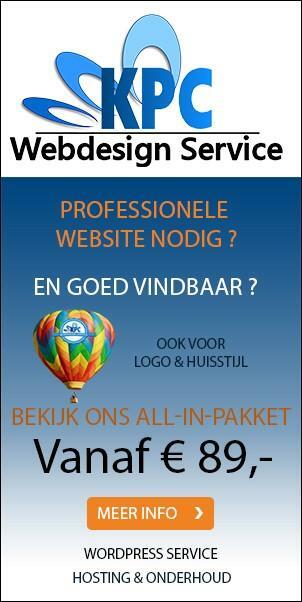 De eerste online gameswebsite werd in 2004 gelanceerd. In 2007 kreeg de Spill Group een meerderheidsbelang in het spelontwikkelingsbedrijf zLong uit China en begon met de productie van games. Er volgde uitbreiding naar de VS en de UK. Een jaar later veranderde de bedrijfsnaam in Spil Games. In september 2014 werd na reorganisatie de Nederlandse ontwikkelstudio gesloten en besloot men zich te concentreren op mobile game publishing. In augustus 2016 maakte Spil Games bekend dat er 100 miljoen downloads in de afgelopen 12 maanden hadden plaatsgevonden. Naar verwachting zal dat tot 150 miljoen oplopen tot eind 2016. Inmiddels werkt men ook samen met Atari oprichter Nolan Bushnell aan de ontwikkeling van nieuwe mobiele spellen. Spil Games heeft meer dan 115 miljoen actieve gebruikers per maand. 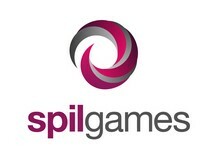 Spil Games publiceert free-to-play games voor iPhone, iPad en Android en tevens voor het web en Facebook. Summer Sports: Hurdles	Outrun the competition and jump over all hurdles to get that gold in this olympic-inspired simulation! Time your jumps perfectly as you race to the finish line, leaving your friends and opponents eating your dust! Combine in a PvP tournament with other Qlympics games to become the ultimate champion! Euro Penalty 2016	Score amazing goals in this action-packed sports game, Euro Penalty 2016! Master your football skills in every penalty shootout now! Puppet Tennis	The Puppet ATP World Tennis Tour is under way and your little puppet player made it into the final rounds! Play singles head to head with your high ranking opponent and become the next Roger, Raphael or Novak? Basketball Scorer	Up for some basketball in the streets of New York? Choose your shooting mode first; the trickiest is probably Moving mode—the net doesn't sit still for the ball. Regardless of the mode you choose, click and hold to aim and power up your shot, then release to shoot some hoops. Horse Jumping 3D	Prance and leap your way to elegant equestrian excellence—now in 3D! Left/Right = Move Up/Down = Control Speed Space = Jump For jumping events, approach each fence at the speed indicated by the pink arrow and jump when the colored square turns yellow or green to avoid knocking down rails. Approach jumps straight on to score maximum points. For dressage, lead your horse over the yellow circles at the speed indicated by the pink arrow. Puppet Ice Hockey	Jump in the rink and get ready for the best tournament on ice. Sudoku Hawaii (mobiel)	Travel to the enchanted tropical isles for a few rounds of challenging puzzles. Greater Than Sudoku	Can you handle this challenging version of the classic puzzle game? Daily Sudoku	Get your daily dose of a few of the world’s toughest brainteasers. Crusader Defense	The enemy is about to attack. Get your archers and knights in position and fast! Zombie Return	When zombies strike back there’s no telling what kind of mayhem you’ll be up against. Elven Defence	Defend the castle against hordes of orcs and monsters in this mobile and desktop compatible game! Huje Tower 2	Time to save your little friends...or lead them astray! Build structures out of hujos by dragging them into place. Click the green triangle or press Space when you're ready to guide them to the end of the level with your mouse. Hero Simulator	Can you create the perfect warrior to take on all of the challenges in this totally chaotic world? Lose the Heat: Retro	The cops are hot on your tail. Ditch ‘em on the double in this old-school racing game. Demoman	Demolish all of the office buildings with your demolition ball! Swing your mouse from right to left. Uphill Vegas	In Vegas, everything's a show...so break out your best moves and create a stunt spectacle! Up = Drive Space = Jump 1-4 = Tricks Doing tricks charges your turbo meter. When the turbo meter is full, turbo power is activated. Collect chips for extra points.